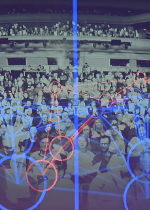 Marcus Du Sautoy's show at the Barbican combines music, maths and machine learning. 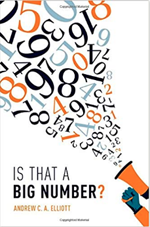 From national debt to theatre capacities – Andrew Elliott's book puts numbers into context. 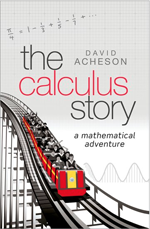 David Acheson's new book makes calculus irresistible. 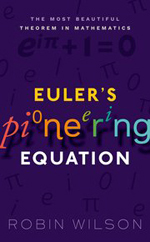 Robin Wilson's new book focuses on that almost mystic entity known as Euler's equation. 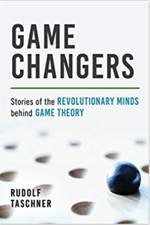 Rudolf Taschner's new book presents a satisfying, accessible, and wide-reaching account of the people and ideas behind game theory. 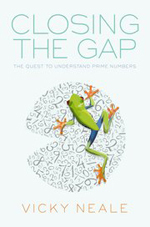 Vicky Neale's new book is a fascinating look at the prime numbers and recent advances in prime number theory. 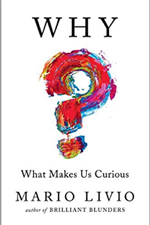 In his latest book Mario Livio investigates our unquenchable thirst for knowledge — including our obsession with social media. 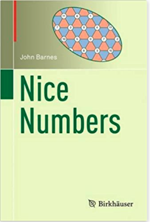 This book leads you through the digits that you meet in every-day life, how they came to be, and what makes them nice.